Once situated in the basement of an old factory, Liquid-Studio moved to its current location at Haslacherstraße 25 in Freiburg in 2010. From the get-go the room was meant to be both a studio and a club and it was built and optimized for both its purposes. Great recordings need a big space. Because of the fact that said space is usually underused in everyday studio life, Liquid-Studio doubles as a club, the Slow Club. Feeling the need to give Freiburg’s subculture a new home and focal point, Slow Club e.V., a non-commercial foundation, was established. The club becomes the studio, the stage becomes the vocal booth, the amps can be put into the separé and the storage rooms and – discretely hidden behind the stage – there’s the control room. 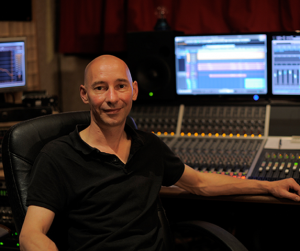 Markus Heinzel has decades of experience as a sound engineer for live-events and studio recordings as well as a music producer. With his band BAR, fka Liquid Laughter Lounge Quartet, he toured all over Europe and released several albums. This website was created by Frank Kallenberg at Web Ahoj (Conception and Programing) and Karo Schrey (Graphics). The beautiful pictures were either taken by Alexandra Heneka or by the operator himself.